Every year, the Colorado General Assembly convenes for a 120 day Legislative Session to adopt legislation that impacts the citizens of Colorado. 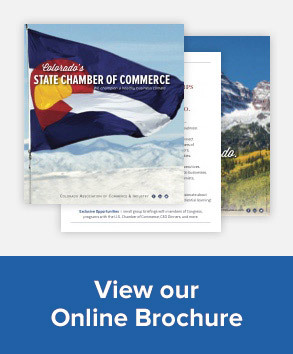 The State Chamber’s lobbying team works directly with policymakers and governmental officials to inform and educate them about the importance of supporting the business interests of the state. Many victories have been achieved through the work of the Chamber and have saved businesses millions of dollars each year. 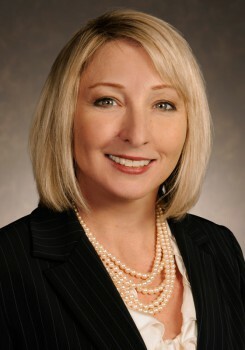 Over the years, the State Chamber has won critical reforms for the business community on such issues as environment, government spending and taxation, tort and civil justice, health care, workers’ compensation, unemployment insurance, and K-12 education. In the area of taxation, for example, victories have included simplifying the income tax, repealing the state unitary method of taxation and lessening the burden of the onerous local business personal property tax. 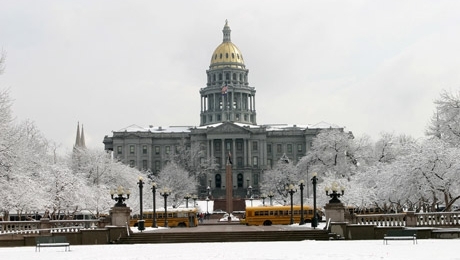 The Colorado legislature meets every year for 120 days beginning in January and ending in early May. The 65-member House of Representatives and 35-member Senate consider 600 – 800 bills, or proposed legislation, every legislative session. Several hundred of those are enacted into law.